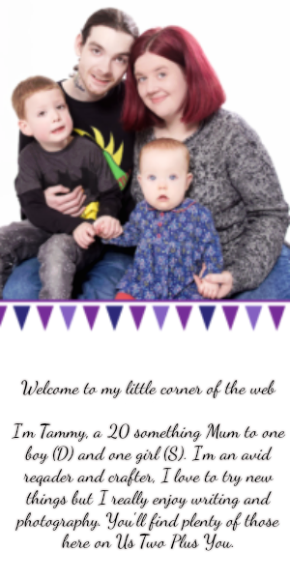 We have been very busy doing these art's and craft's to show you all. 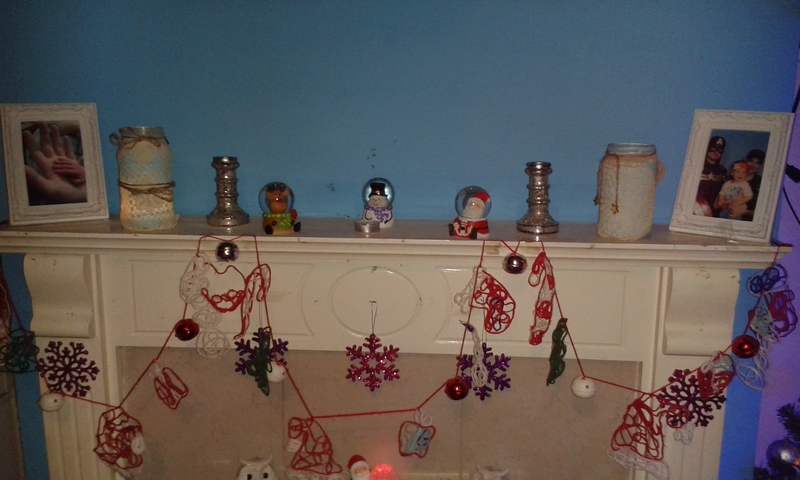 As I said before I really want to have a lot of our Christmas decorations this year made by us. 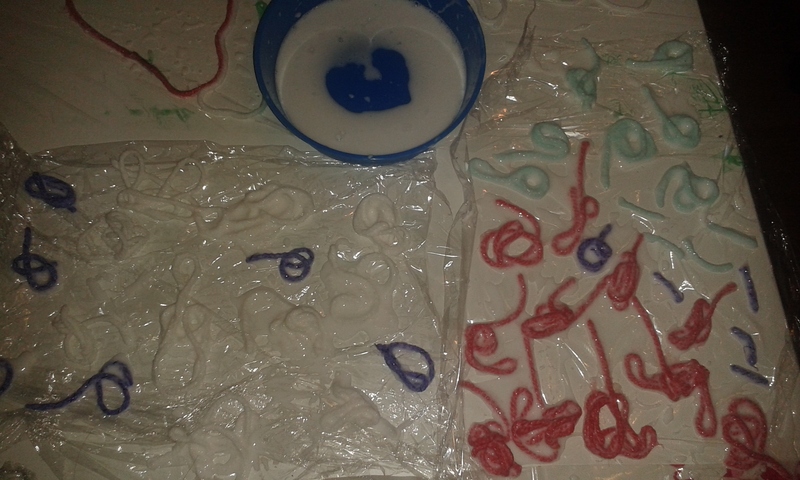 I enjoyed doing this weeks art's and craft's activities. Now let's get started. First up are the paper snowflakes, we are doing these first as these are extremely easy and I am sure many of you remember making these when you where younger. 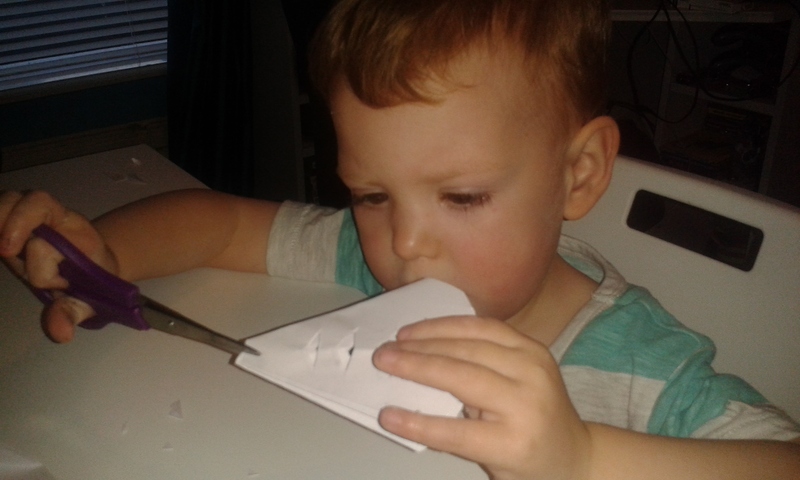 I love this activity as it is great for children to practise their cutting skills. The great thing about making snowflakes is that no two snowflakes are the same and with these paper snowflakes it is close to impossible to make two that are identical. To get started you will need some paper and a pair of scissors. Yes, that is all you will need. You can use any sized paper you want and in any shape you want. We used regular A4 paper. To start you need to fold your paper making sure your centre stays on one side and never moves (hypothetically of course. It would be hard not to move it at all!) The easiest way to do this is to fold the page in half, then half again. Once you have a page folded into quarters you need to fold it into a triangle by folding the rectangle in half keeping the centre parts together. You can work from that point or you can fold the triangle in half again and start from there. Once you have your paper folded you can get to making it into a snowflake shape. You can leave it as a rectangle or the original shape of the paper. Change the shape by cutting the end (Not the centre) into what ever shape you would like. Time to get making your snowflake different. Now that you have a general snowflake shape you can get cutting to make it different from anything else. You can make the original snowflake shapes yourself before getting the children involved if you like. To make your snowflake have a design or to add the holes you need to cut various shapes of all different sizes out of the sides of the snowflake. You can also cut the centre if you like. You need to make sure you don't cut it up into small pieces by leaving gaps between each piece you cut out. This will make the snowflake stay together. 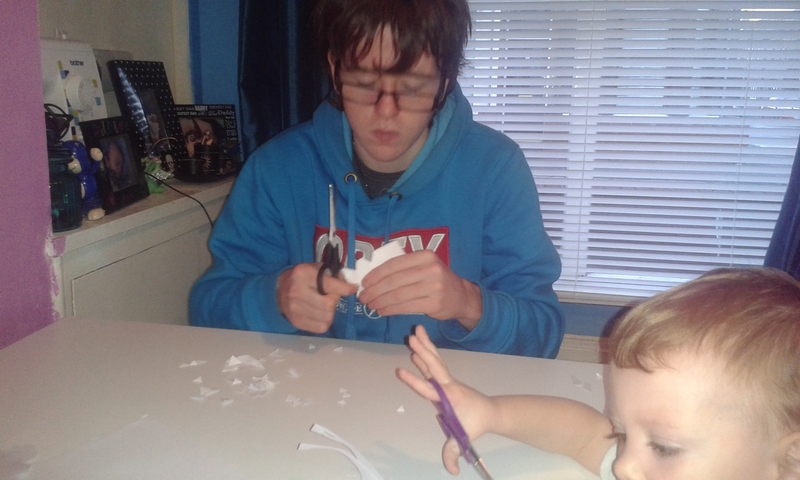 D really enjoyed the cutting part as he could do it all by himself and he could do whatever shape of cutting he wanted! 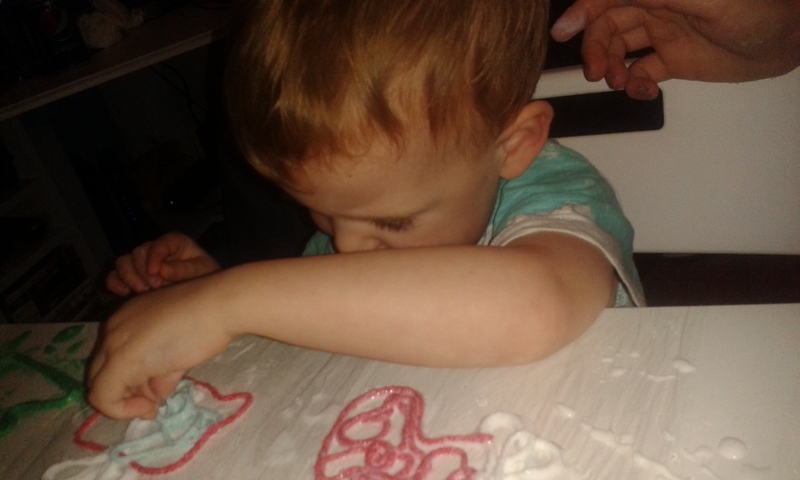 He did only seem to like cutting slits into his snowflakes but that is fine. 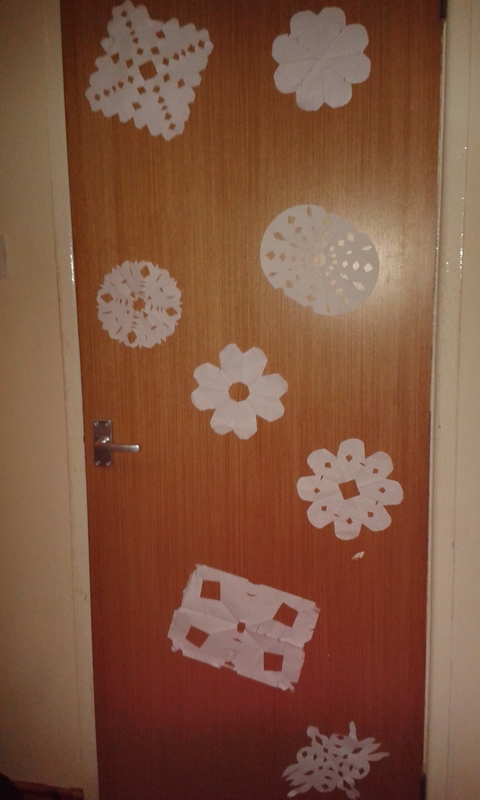 Once you have your snowflake cut you need to open it back out and you can either attach some string if you would like to hang it from the ceiling or you can add some blue tac to the back and stick them onto a wall or door like we did. Before you get the kids involved there is a little bit of preparation to do. 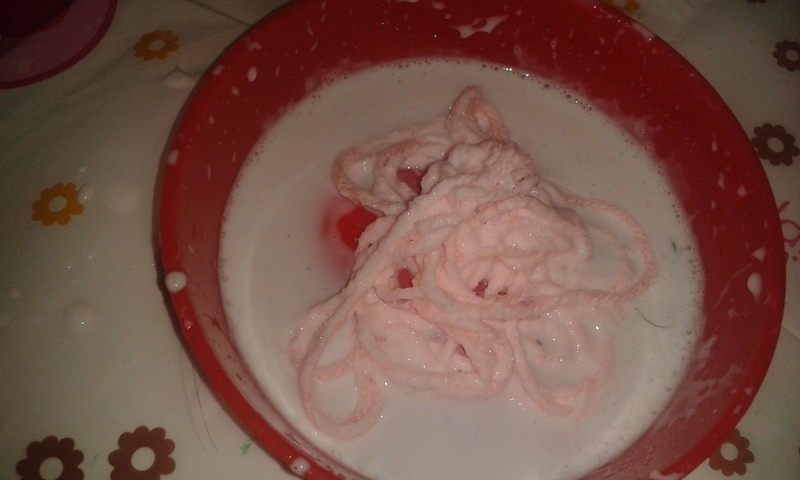 You need to dip your wool into your glue. 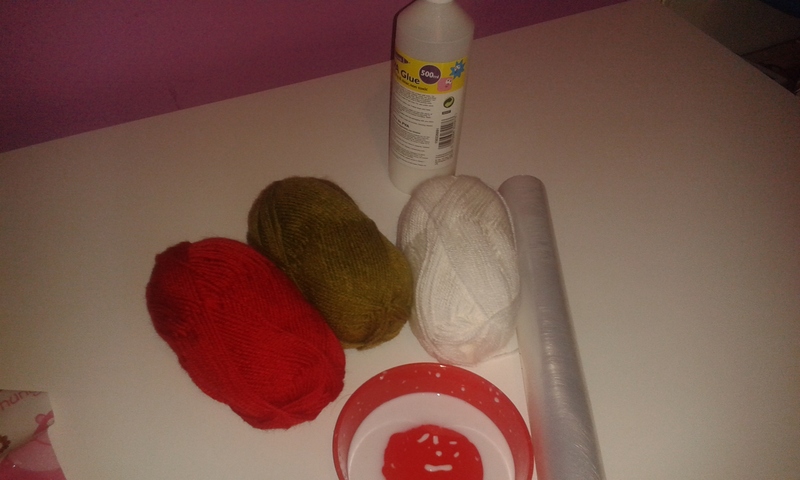 After a lot of tries doing this bit I discovered that the easiest way is to get a bunch of the wool pieces in your hand and drop them into the glue. Once they are in the wool you need to push, pull and wiggle them about until you have them completely covered in glue and take the strands out (they can stay altogether if you like) pulling them along the side of the dish to remove some of the excess glue. Lay the pieces down on some plastic your messy mat should do fine. Separate the pieces so each is an individual piece of wool. Time to get the kids involved! the next thing you need to do is to blow up you balloons. You want to leave them small enough to fit onto your tree. Don't worry too much about the shape of the balloon, however if you would like to make small and very round baubles you can use water balloons instead as they have a rounder shape than normal balloons. Once you have your balloons you can start. To make the baubles you need to get a piece of wool and start wrapping the wool around the balloon making sure that the wool overlaps at the end and along different areas to make sure the bauble stays together. If you run out of wool just use another piece again making sure the ends are overlapping with another piece of wool. D liked being able do just put the wool wherever he liked around the balloon. 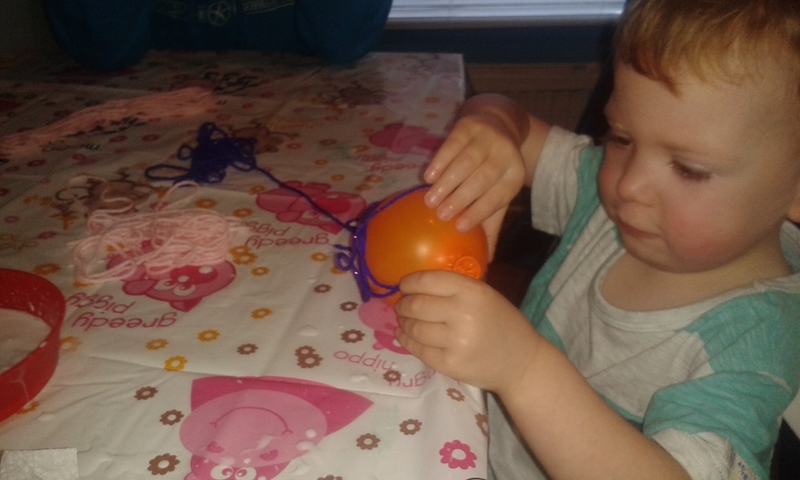 It is not often that he can just pull things and play with a balloon and wool! Set these to one side to dry. Once they have all dried you can pop the balloon. You may need to carefully peal the balloon away from the wool. Don't worry if they change shape during this part, they will pop back into shape once you are finished. 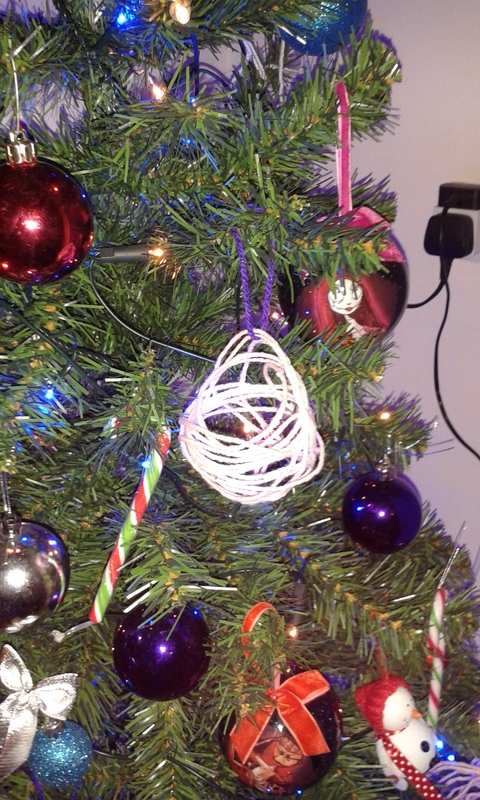 Attach a small bit of string in a loop so you can attach it to the tree and your are finished! You can now add your decorations to the Christmas tree. 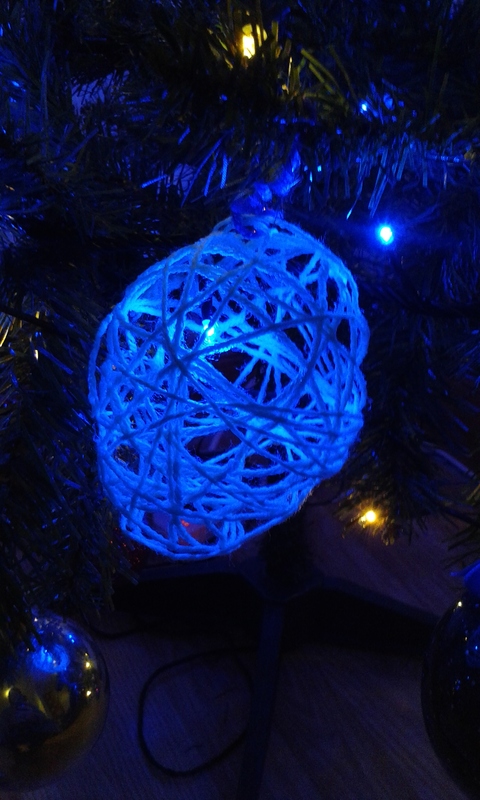 If you attach them to the tree and push a fairy light inside it will create a lovely effect like our blue lights did on one below. Don't worry this is safe! 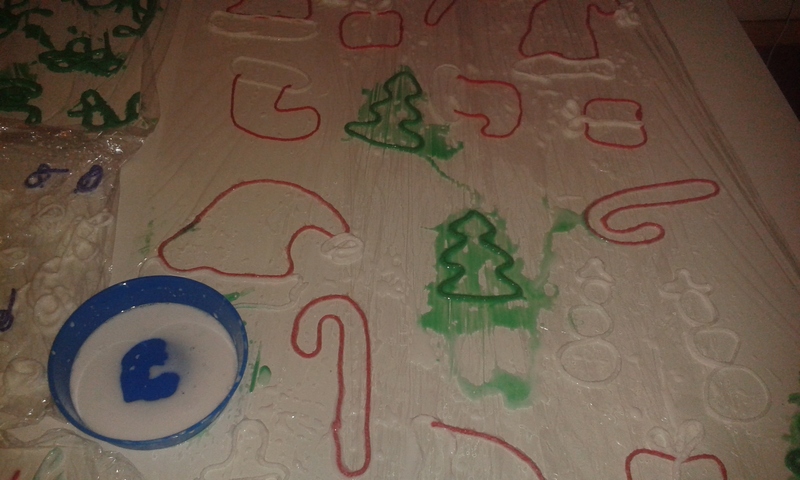 The first thing you will need to do is to cover your surface in cling film. I literally wrapped half our dining table in it! The cling film just acts as a plastic to ensure you can remove your decoration pieces for your bunting. The first thing you will need to do is to cut your wool to different lengths. for this activity you will need long lengths that are about the size of your forearm. You will need a good amount of this size in white and red and around 9-11 pieces in your green. You will also need some shorter lengths that can range between half and 3/4's of the length of your forearm. Once you have all the lengths cut you can then use the same process as above to cover your wool with glue in sections of colour and length I used normal glue to cover the white and red wool then added some green paint to the glue to make the green wool look like green as it looked a bit like sick at the start but Simon had bought the wool so it was all he could find. 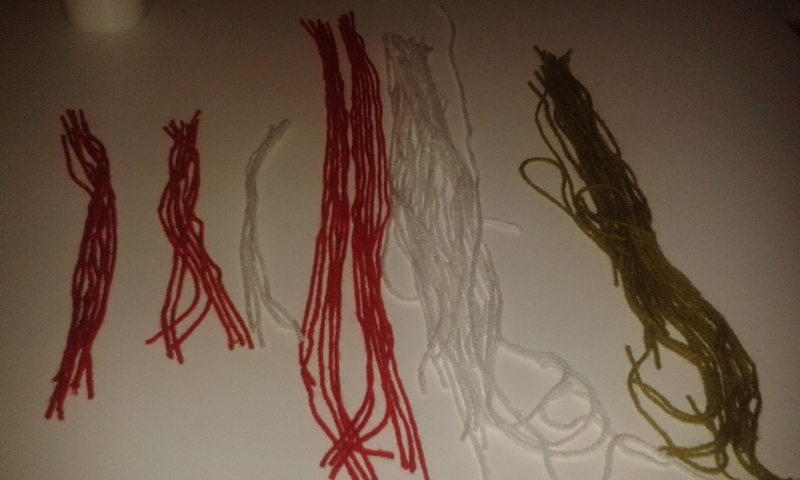 Next I started to make the outline of the shapes for the bunting using one long strand of each colour. They do not need to be perfect. I made outlines for 3 of each shape. So we ended up with snowmen, Christmas trees, Santa hats, Stockings, presents and candy canes. On the stockings, candy canes and presents I made the main outlines in red then added the smaller outline for white fur with white wool and I added the ribbon to the present in white. I made the shapes by pulling the thread into each shape then slowly pushing the wool out into the right places once I had it all connected. This is fairly easy to do although it is time consuming so I suggest doing this in the morning or while your child has a nap. Now that you have your outlines all completed you can get the kids involved! Let them add pieces of wool in whatever direction and shape they want. Help them to stay inside the lines and make sure the wool is overlapping and touching the outline in as many places as possible. This is important as there will not be anywhere else to connect the wool and you may end up with separate pieces of wool once they are dry if you don't have them overlapping and touching the edges. 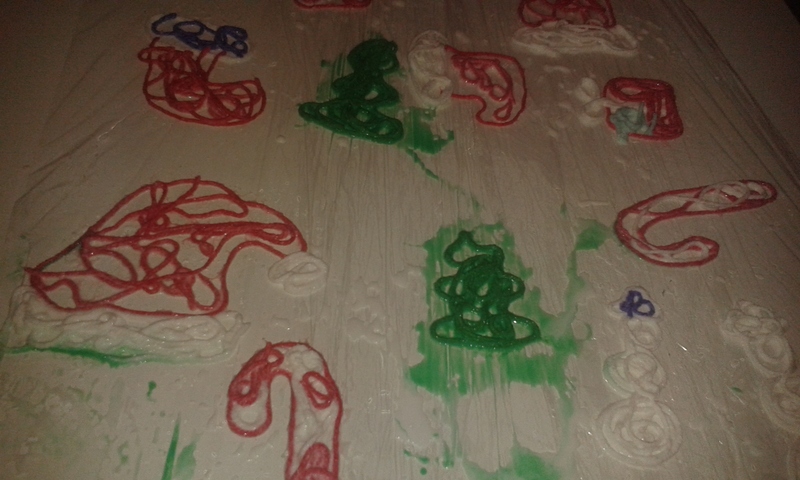 D really loved picking up the sticky, slimy wool and trying to push it into all the nooks in the outlines. He really enjoyed getting to make something completely by himself as I just went through at the end and made sure that everything was touching! 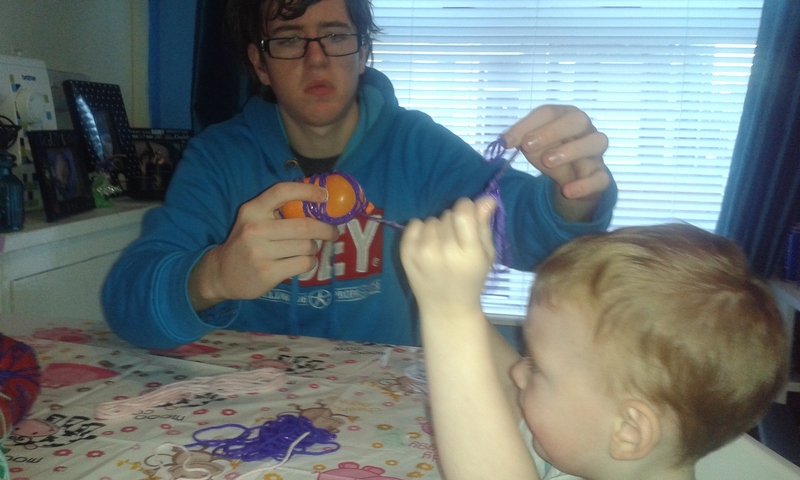 Uncle L on the other hand hated the feel of the slimy wool! Yes , he can be very strange at times. Once you have the decorations 'coloured in' with wool you can now dry them. Ours took days to dry as our hairdryer has went missing since we moved so I am not sure if it is in a box that I never unpacked or if we left it in our old house. Anyway you can use a hairdryer to dry yours the same way you dry your hair. You may need to use the cool setting every few minutes to prevent the cling film from changing shape or melting. Make sure the hair dryer isn't to close. Now that all your piece's are dry you can carefully peal them off ( there may be excess glue, you can cut this off with a small pair of nail scissors. ) 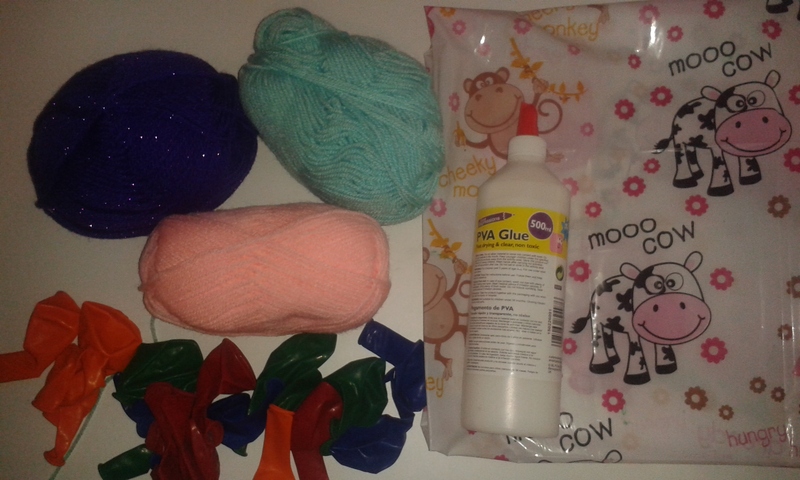 After all the pieces have been taken off the cling film you will need to arrange them in the order you would like them to go on your bunting. It is best to do this on the floor so you can lay them out the right width apart you want them. At this stage I added in 8 bells which I had bought in poundland, they came in a pack of 9. I put a white or red bell in between each 2 pieces on the pattern then between the pattern repeats I added a silver bell. Once you have the pattern you like you can start with your wool. 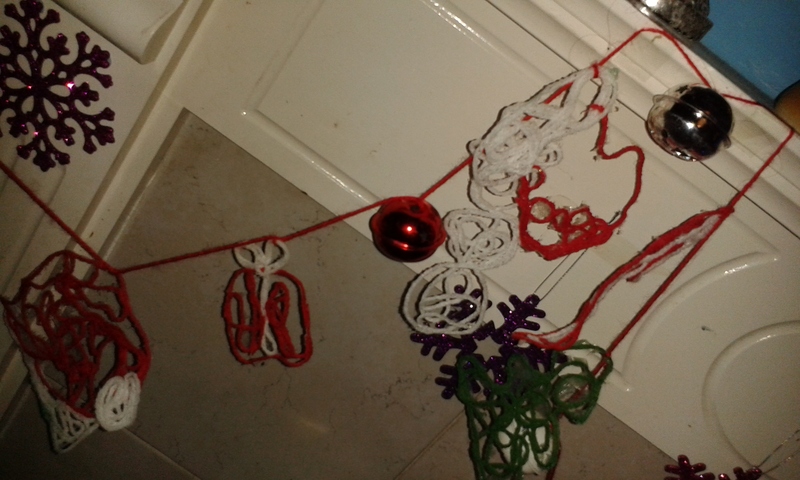 I used red wool which I cut to length using the decorations I had arranged on the floor as a guide. I left a good bit of wool on each end to ensure I had enough to make a loop for attaching it to our fireplace. To attach each decoration to the bunting I put the decorations on one by one. Again this is time consuming but you could easily do this once the kids are in bed. 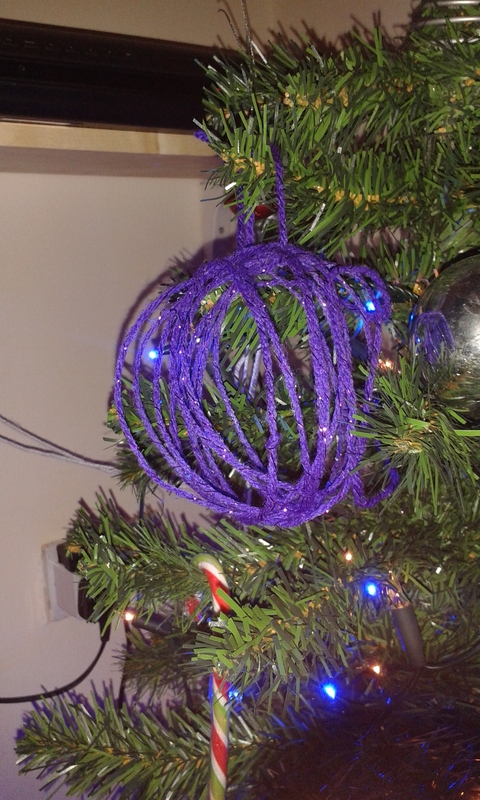 I tied the wool around each decoration after I slid it onto the thread to make sure it didn't move once I hung it up. It took a while but once I had finished threading the decorations and bells on I hung it up on our fireplace and I think it looks fantastic! There you have it, 3 art's and craft's idea to keep you busy this December! Remember to come back as we are doing more every week until Christmas. I hope you all enjoy making these as much as we did. Don't forget you can find all of our art's and craft's posts in the menu at the top of every page!